Fear for Sale: Tiny Terrors is rated 4.1 out of 5 by 14. Rated 5 out of 5 by sapphireblue11 from A Lot of Fun, Creepy Suspense and Satisfaction! 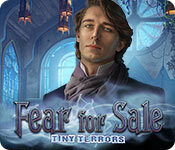 All the boxes are checked with this regular version of Fear for Sale: Tiny Terrors. I'm a Fear for Sale fan and this game does not disappoint. 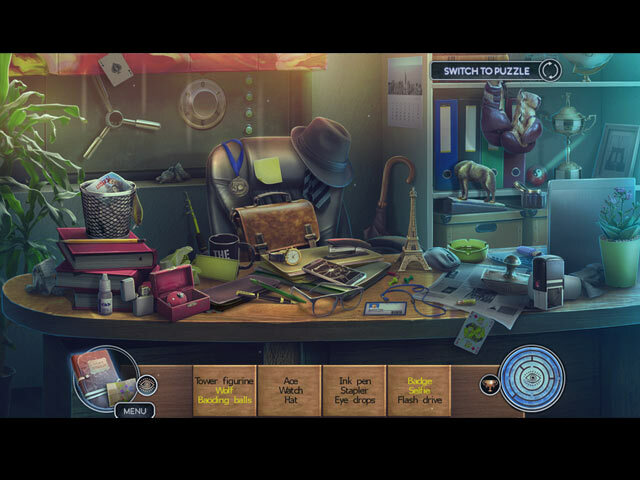 Puzzles, puzzles and more puzzles. You can customize the difficulty settings so this game is fun and challenging for all skill levels. The beautiful but deadly dolls ratchet up the suspense and creep factor. There is a bit of time delay when switching scenes but I didn't consider it a major annoyance as some reviewers noted. The storyline is engaging and methodical. The final scene does fall a little short after the suspenseful build up to the finale. Overall, I found this game very satisfying in most categories and I highly recommend it! Rated 5 out of 5 by rpadder from Watch the dolls I got to say that I really enjoyed the story in this game. But the dolls are really mean. But at the end the dolls and everyone has a happy ending. Thank you for making this game. Rated 5 out of 5 by spythere from Ashes, Ashes, we all Fall Down! Who wouldn't like to be young forever, even immortal and invulnerable, to live on and on? For a certain Christian Mitchell, who goes (went) under many other names, this dream came true. He found a ritual (what else?) to extract the souls from people and enliven his puppets with them. Emma Roberts shall be the last in his collection, so to speak the icing on the cake. The twelfth adventure of the series leads us directly into the core of Fear for Sale, namely into the editorial office of the magazine. The editors James and Rosemary Hill including the whole staff are under attack from cunning, poisonous puppets. The game has its eerie and thrilling moments, especially due the outstanding sound effects. We hear the unpredictable, creepy dolls sneering and singing at the most unexpected moments. Arkhipov partly used real children's voices for the dolls, voice overs are generally excellent. HOPs are varied, multi-layered and contain as always lots of information about the background story; thus read the notes. A nice idea is a mini HOP which starts in darkness, we pick items which obscure light sources, and it gets brighter and brighter. Another HOP shows us runes to click on, but they appear only for a short time. There is one on a desk, and we search items alternately on the desk and on computer screen. Elefun still invents greatly entertaining HOPs which are mostly themed and ingeniously integrated into the story line. Puzzles seem more challenging than they used to be; for two of them I had around half an hour, without consulting the Guide. The only or at least the biggest let-down of this game is the ridiculous Sarah doll, a real monstrosity. She has a leading role, we often see her in close up - but what an eyesore >_< I bet she once looked less like a bad cartoon ... and then the project manager walked in and exclaimed: “No, no, draw BIG eyes with lots of make-up and an OVERSIZED head! and all the dolls must have glowing, neon blue eyes! I know what customers want.” Bleh. I nearly deducted one star due Sarah. The end is a romantic surprise. The ever aloof Emma Roberts, currently hospitalized, accepts a date with handsome detective Michael Evans. Not a real end, it's a beginning. But how this will develop further, we'll never learn, because this is already the last issue of Fear for Sale. A worthy conclusion of the series, I guess. We definitely wish Emma all the best and regret to say good bye. CE or SE? In this case I'd recommend the CE due the 18 brilliant, addicting soundtracks and the bonus chapter. It's an immediate sequel and a beautiful addition which concerns Emma's lost twin sister. Kindly read my review of the CE if you want to know more details. Rated 5 out of 5 by LikeAGoodStory from One of the Best Story Lines Ever! Great graphics/music, wonderful HOPs and intriguing mini-games but it's the story line that is superb. It's a bit of Dorian Gray but beyond--with dolls! As one who does not care for dolls, not at all, that is saying something. To say any more about the dolls would be to spoil the game. Suffice to say, stay with the dolls. They are worth it. As always, try the demo but I highly recommend this game. Rated 5 out of 5 by happywandererbek from Go Emma! This is my fave game atm... a decent storyline with characters to boot that I can relate to. Decent HOP and minigames. Loved the extra game too in CE. Keep making these quality games please! Rated 5 out of 5 by BooksandGameFan from Bravo EleFun games, well done indeed! I absolutely loved this game!! It was so much better then many of the CE reviews gave it credit for, but I guess that's because most people just review the small sample and not the completed game! This game gets better and better the more you play it. Granted the dolls look more like tiny humans then dolls and we aren't seeing anything all that new and different from other games when it comes to the hidden object scenes or mini-games but there were a few that were different and the hidden object games pertained to the story, not just random junk piles. I like that. I can't really put my finger on it but there was just something about this game that was so much more fun than many of the other games I've played lately. I can honestly say this is my favorite from The Fear For Sale series and I am a fan of all the games! If I had to pick one reason this game was so much more fun it would be the story, it just keeps unfolding little, by little as you progress through the game, everything you do, everything you read takes you to the conclusion. The graphics and scenes were very well done, the music fits each scene perfectly! Yes, I highly recommend this game. Rated 5 out of 5 by Majestyx12 from Is there a romance for Emma Roberts? 5 chapters, 17 hops. Present day Pennsylvania. Emma goes to work and some thing is wrong. She hears child like taunts. She meets a doll that is trying to kill her and something is wrong with her employers. She fights the offender and helps the people she loves. The mystery unfolds. The dolls unlike Chucky are attractive. They look like real people that are deadly in miniature form. This maker also made Mayan Prophecies, The Keeper of Antique, The Forgotten Fairy Tale and Witches Legacy. Rated 4 out of 5 by PATinPNS from This Was a Bit Different This is posted after playing the entire game. I was really reluctant to make this purchase, but I did and I'm pleased with my buy. The game was interesting and rather fun, as much as I hate to admit it. I'm not a fan of this genre, but this one surpassed my expectations. Graphics, were great as were the effects which went along with the action in the scene. The voice overs were exceptional and the music wasn't as bad as I expected. 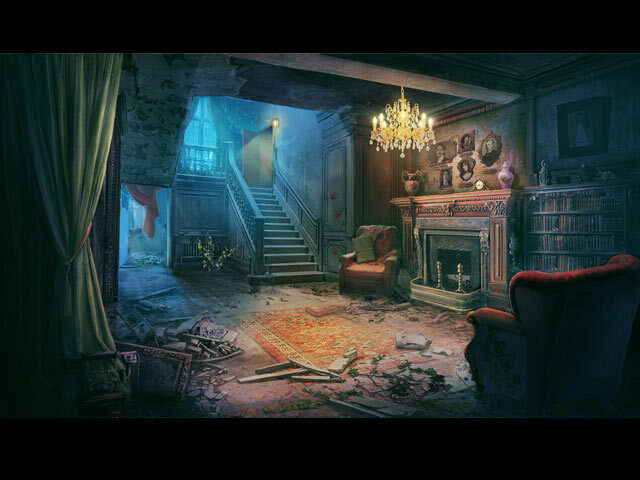 Loved the hidden object games. There are lots of them and they are well presented. They are clear and not just a junk pile. Mini games were likewise good. I even, as he proudly sticks his chest out, liked them. I did most of them and the ones I didn't I couldn't figure out what to do. So that means there are simple or I've developed a great deal of patience and intelligence which I doubt, so I'll go with simple. Others will go into the story so I'll not bore you with those details. I was hooked on the story from the beginning all the way through. The continuity was amazing. Don't get them written this well anymore. The only problem I had with the entire game was the constant loading. One would think in this day and age that wouldn't be necessary, but it did get extremely frustrating waiting for the load each time I changed scenes and sometimes within the same scene. It isn't a deal breaker, but it is obnoxious to say the least. Give the demo a try. This is one of the better games to come out here lately and perhaps you might find it as enjoyable as I did. 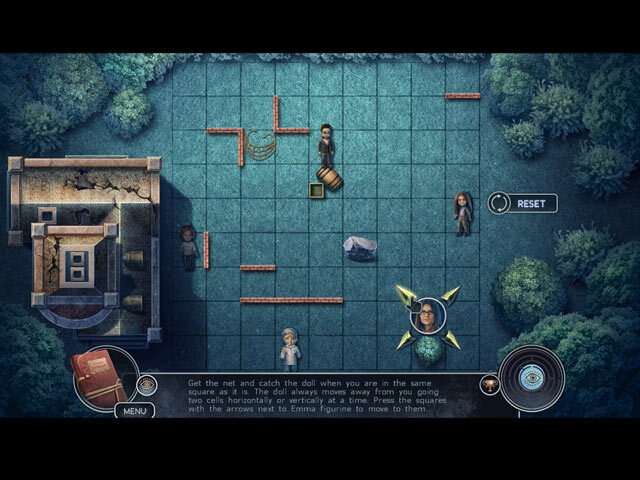 Rated 4 out of 5 by 2020moonlanding from Overall Good Game I thoroughly enjoyed this game except for the dolls. They were suppose to be creepy but came across more silly and ridiculous than anything else. I really would've liked a more believable adversary. However, everything else in the game I really did love. The cutscenes, graphics, voice acting, HO scenes, and most of the mini-games were really great. I highly recommend this latest edition from the Fear for Sale series. EleFun is a great developer.